Dr. Caroline Trapp is a long-time volunteer with the Plant Based Nutrition Support Group. She is the director of diabetes education and care with the Physicians Committee for Responsible Medicine in Washington, DC., an adjunct faculty member at the University of Michigan School of Nursing, and a diabetes nurse practitioner. She has earned degrees from the University of Michigan, University of Pennsylvania and Madonna University, and is board certified in adult primary care, diabetes education, and lifestyle medicine. In 2013, she was inducted as a fellow in the American Association of Nurse Practitioners for her work in nutrition education and research. She has presented across the U.S. and in Canada, China, the Republic of Macedonia and the Marshall Islands on the topics of plant-based nutrition for diabetes and deprescribing insulin. 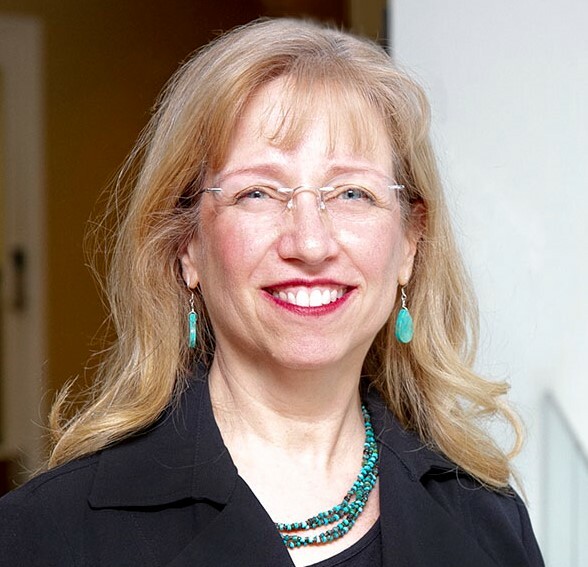 Dr. Trapp oversees the Nurses Nutrition Network with the Physicians Committee, and an ongoing effort to reverse the epidemic of diabetes among Native Americans in the southwestern United States. In honor of her outstanding work, Dr. Trapp was inducted as a Fellow of the American Association of Nurse Practitioners in 2013; awarded Oakland University’s Nightingale Award for Education and Research in 2012; and was a finalist for the American Association of Diabetes Educator's 2009 Diabetes Educator of the Year Award. When she’s not trying to stop the over-reliance on medication and under-utilization of WFPB foods for diabetes, Caroline loves to hang out with family and friends, travel the world, cook from one of her 90+ vegan cookbooks (who knew there were so many available?! ); and rescue cats.